What would a week in pictures be without a reflection shot. 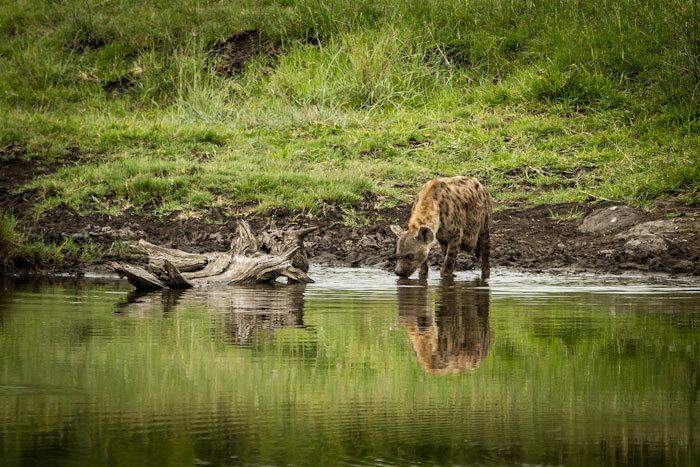 This week, reflections seem to have been a prominent theme, as I managed to capture some great images of zebra, a hyena as well as a buffalo bull all reflected in various water holes. My highlight, however, was getting to see an elephant bull with tusks that almost reached the ground. This is a rare sight in the Sabi Sand and only the second time I’ve seen such a magnificent tusker in this area. 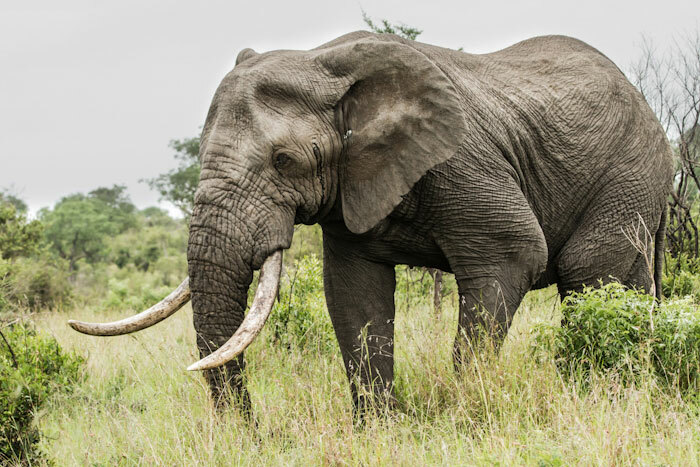 A sighting such as this one almost manages to whisk one off to a bygone area where tuskers like this roamed the plains of Africa, a moment that makes us appreciate just how lucky we are to spend time in this precious wilderness. The week was rounded off by a sunset that rivals the best I’ve ever seen. 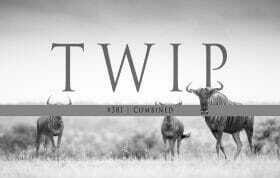 Another phenomenal week in the South African lowveld, an area we are lucky to be able to call home. The highlight of my week was finding this massive tusker trailing a breeding herd of elephants. On closer inspection, we noticed that he was in musth, which would normally lead to us giving him his space but, even though in musth, this bull was incredibly relaxed, allowing me to capture this great portrait. This is only the second tusker of this magnitude that I’ve seen in the Sabi Sand in the past 3 years. 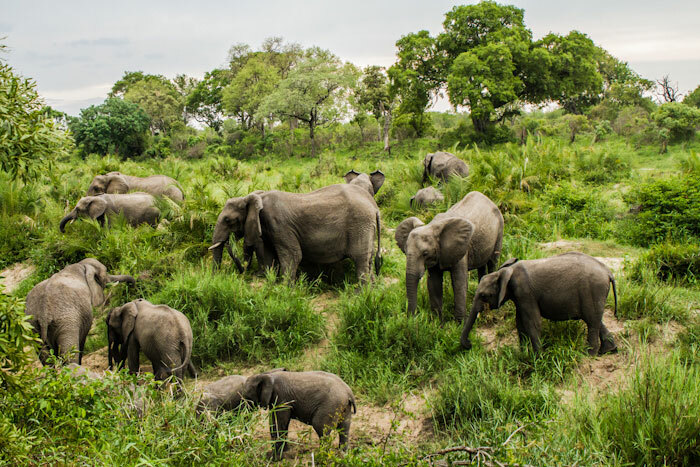 These days they are incredibly rare, which is largely due to the big game hunters going after large tuskers centuries ago. This has resulted in large tuskers being all but removed from the gene pool. What an incredibly unique and special experience. We were so lucky to have a dazzle of zebra walk past our sundowner stop and drink from the pan. There were a couple of rays of light remaining, enabling me to capture this great reflection shot. While having our morning coffee break, this hyena wondered up to the pan, had a drink and proceeded to lie down in the water. 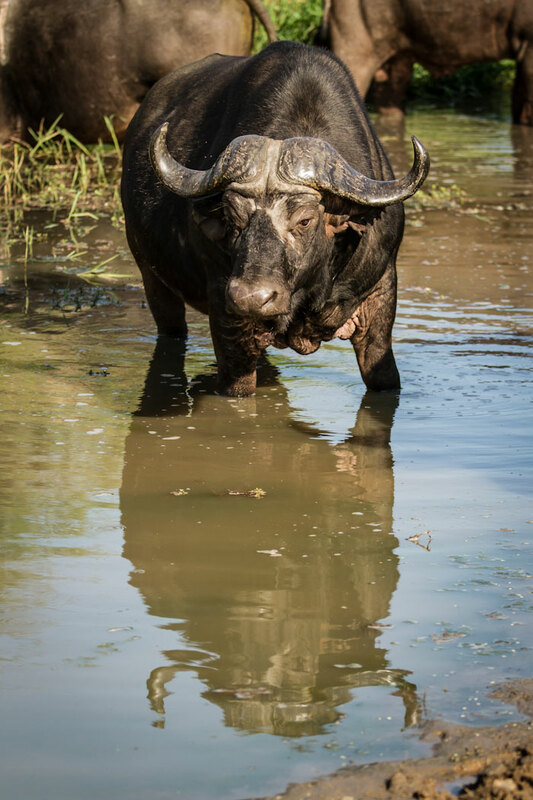 The last in this week’s series of reflection images, a buffalo bull susses us out from the comfort of his wallow. 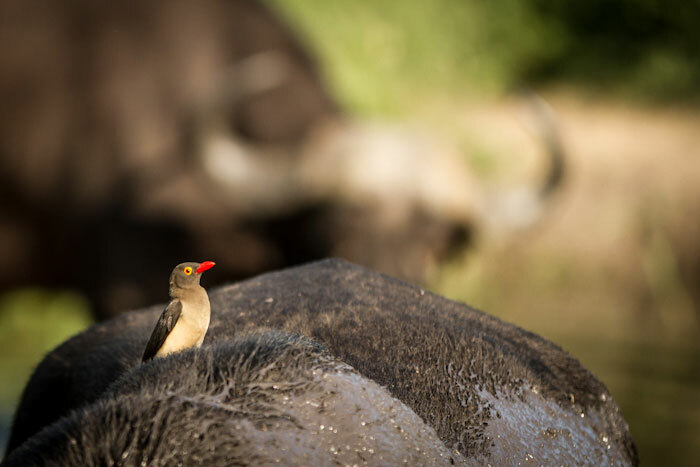 An oxpecker hitching a ride on the back of a buffalo. I love the background of the other buffalo’s horns. One of my moments of the week was a sighting of the Sparta pride cubs lying on the sand in Schwein Donga. 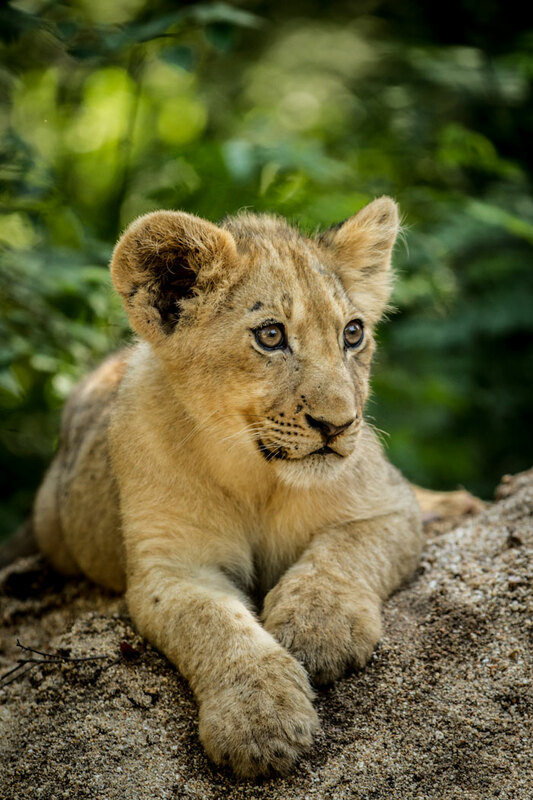 This little cub proved to be extremely photogenic! Four cubs were lying side by side on the riverbank, an amazing sighting. 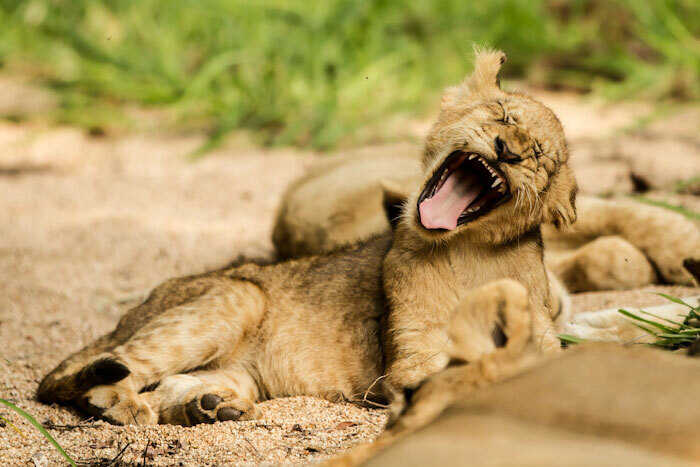 Just look at this facial expression and the needle like teeth as this little cub yawns. 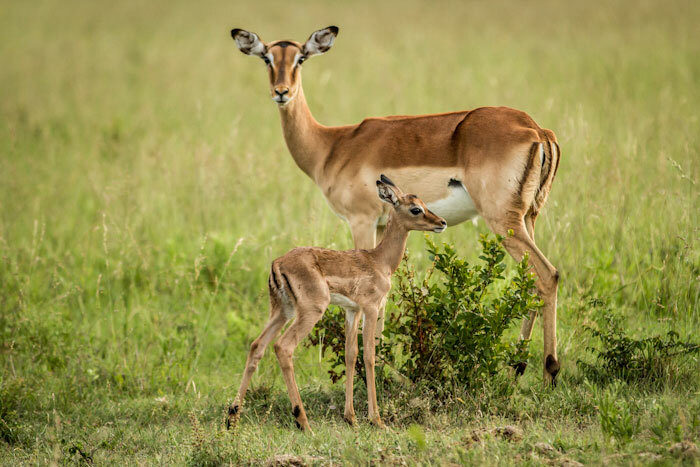 One of the fist impala lambs of the season that has stood still for long enough for me to capture a picture. These new born lambs are extremely vulnerable, so it is understandable that they are quite skittish for the first few weeks of their lives. 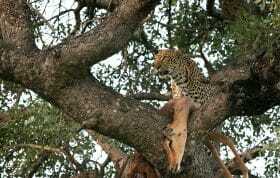 The Nottens female is seldom seen and is a leopard I haven’t seen for some time now. 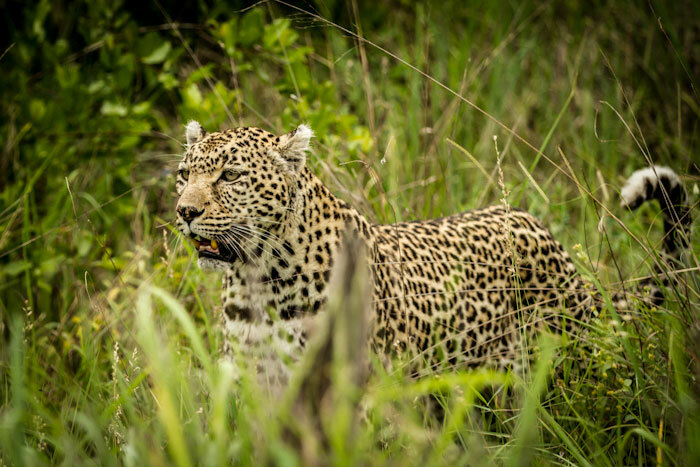 It was great to get the opportunity to spend some time with her again and for a 17 year old leopard, this grand old lady is looking fantastic. 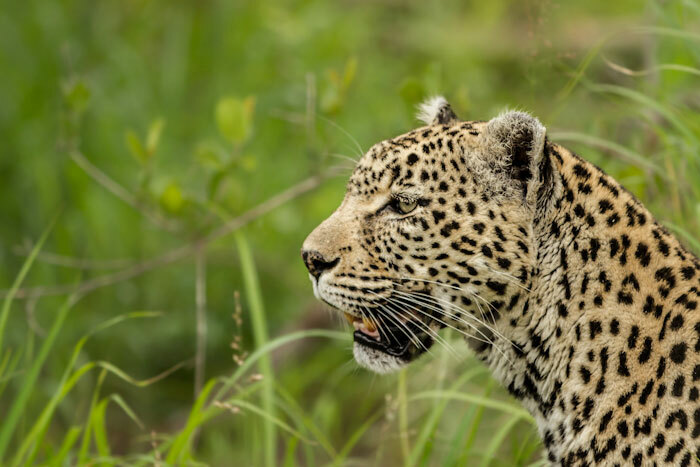 I always love seeing the Nottens and Dudley Riverbank females, as they are the great granddaughters of the Mother leopard, the first leopard that John Varty and Elmon Mhlongo habituated here at Londolozi. 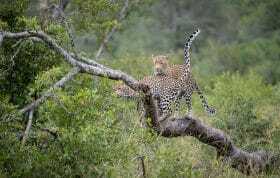 It almost makes you feel a part of the heritage of Londolozi. 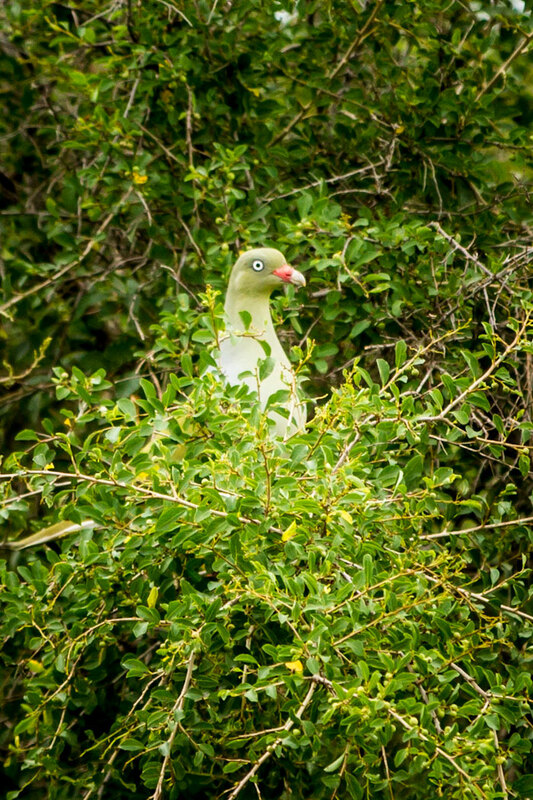 Not a great image, but I have seldom managed to capture the beautiful green pigeon as they are easily flushed and extremely fast flying. This image doesn’t do the sighting justice, but it was amazing to see a large breeding herd feeding in amongst the wild date palms in the Manyeleti River adjacent the leadwood tree forest in northern Marthly. What an amazing sunset! 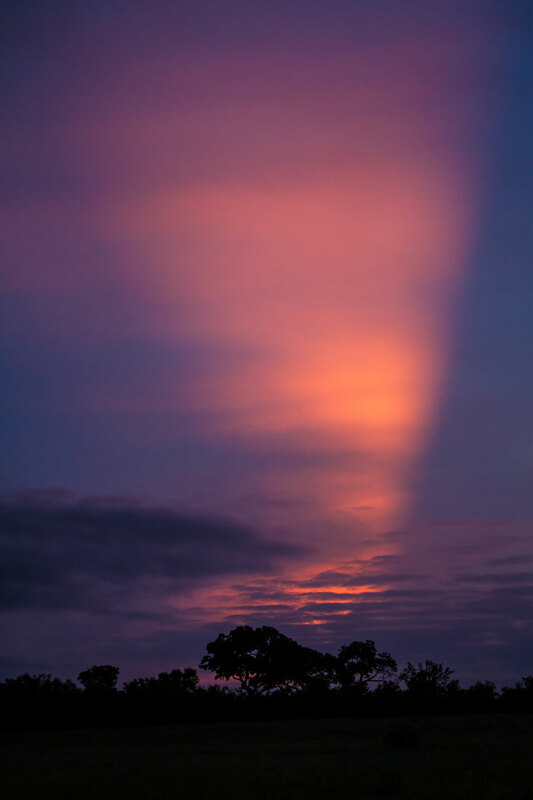 The clouds created an amazing ‘wedge’ of orange light surrounded by a sky of purple. Africa showing off! What a treat for the eyes, and the soul – magical James, – deep sigh, wish I was there! Beautiful pictures! 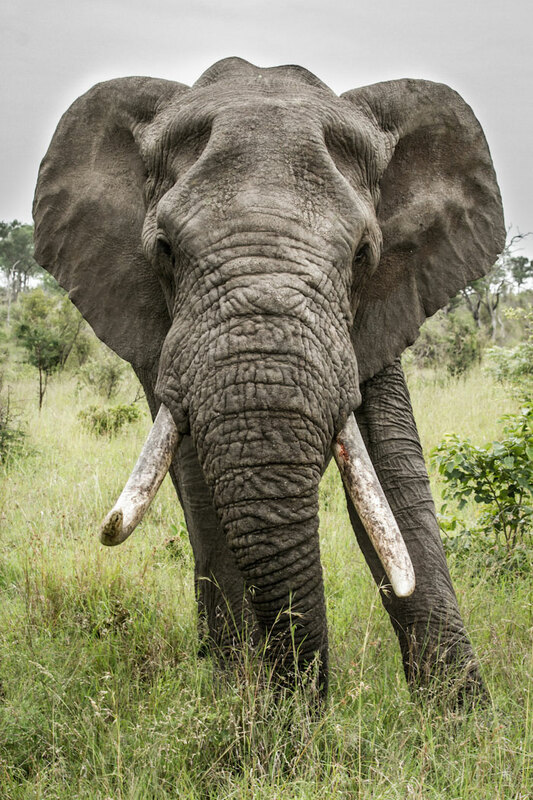 Love the close up pf the Elephant, majestic! Wonderful pictures!! 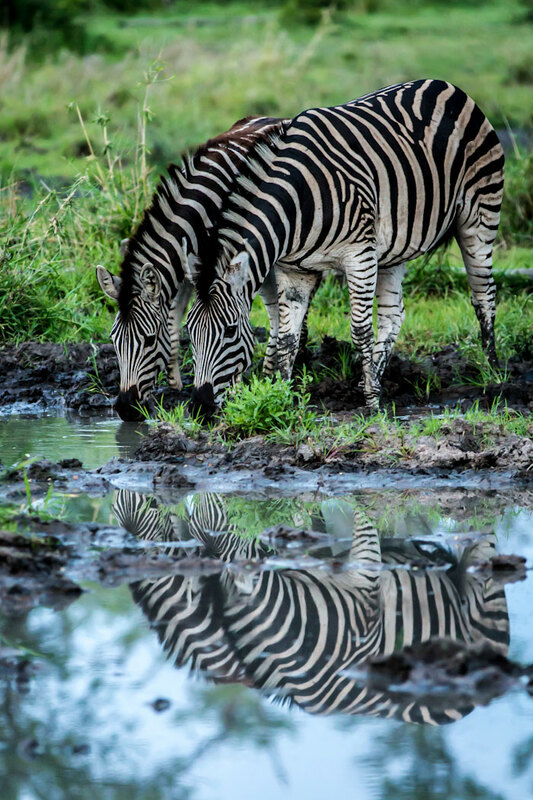 I’m mesmerized by the Zebra’s, what a beautiful shot….Thanks James…..I love this Blog. You teased us with the description of 4 cubs lying next to one another along the riverbank…I envisioned it in my mind’s eye…but there was no photo to substantiate it. Did you forget to include it? Fortunately the pictures you did provide were all spectacular. I’m particularly fond of sunsets, and yours was truly one of the best. Thank you. My heart sings! Thank you. What more can I say? Thank you, thank you and thank you again. 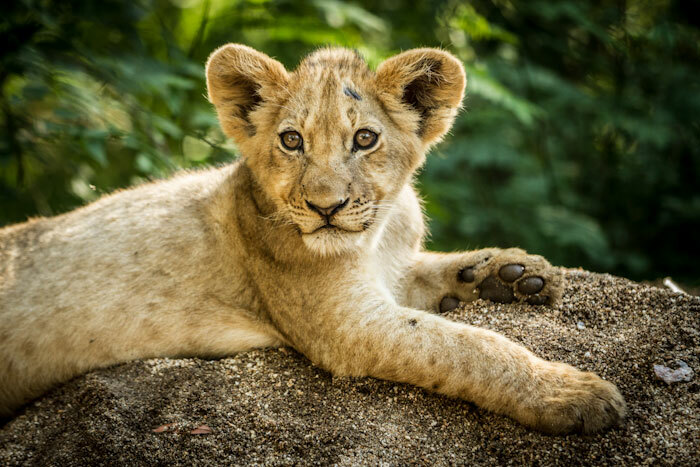 Remembering our discussion of the great photography book at Varty Camp – your photos are better than ever! Would love another chat! Thank you for sharing these amazing pictures.. 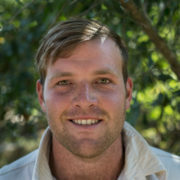 I am so excited about coming to Londolozi for my honeymoon in January! I’ve only heard its the best place on earth. Can’t wait!!!! The zebra shot was amazing! What Awesome photos!! and a Wow.. for the beautiful Sunset..Thank You James for sharing your amazing photos with us!! I miss the Wild!!!!!!!!!!!!! James, fantastic photos – the bull and the sunset being my favorites. Thrilling! Having first visited Londolozi in Ocotber 2011, we will return in October 2013 because of the wonderful hospitality and the amazing sights we experienced during our first stay. Since then, we look at the Blog photos almost daily and feel like we have to ‘return home’ soon. The pictures are amazing. The Zebras and their reflection really amazing. Crooksy. superb photos!! u folk busy? missing the amazing touch field location.